« Huge Antarctic iceberg breaks off. Here’s why it worries scientists. My EDF colleagues and fellow attorneys won an important victory for public health this month when the D.C. Circuit Court of Appeals rejected an effort by EPA Administrator Scott Pruitt to suspend vital limits on oil and gas pollution. There’s an important detail to this story that you might have missed. Turns out the public got no opportunity to provide any feedback on Pruitt’s decision, even though it put their health at risk. Instead, Pruitt abruptly declared he was granting this suspension through a letter to industry, with no formal notice given to the public until well afterwards — and no opportunity provided for public input. Unfortunately, this is just one example of a consistent pattern of conduct. Again and again, Pruitt has shut the public out of key decisions while giving a direct line to industry laggards and their allies. Early in his tenure, one of Pruitt’s very first actions was to withdraw a request for information on pollution levels from oil and gas facilities — acting unilaterally, with no advanced notice and no opportunity for public input. Most of what we know about Pruitt’s decision comes from Attorney General Ken Paxton of Texas, who has battled pollution safeguards while fundraising from fossil fuel interests, mirroring Pruitt’s approach as Oklahoma Attorney General. I personally handed him the letter, and the next day the rule was personally withdrawn. While Paxton got an opportunity for input, the public never had a chance to weigh in on this decision. Not surprisingly, Pruitt’s announcement hailed the withdrawal’s benefits for the oil and gas industry while ignoring Americans’ right to know about harmful pollution from oil and gas facilities. This practice has been repeated across different sectors and different safeguards. Pruitt delayed the implementation of health-based limits on ground-level ozone, commonly called smog, without any opportunity for public input. The standards would prevent 230,000 childhood asthma attacks every year. Pruitt delayed toxic wastewater standards for power plants without public input. Same for a program to manage risks of accidents at petroleum refineries and other major chemical plants. A recent rollback request from the landfills industry called for a delay to important improvements to pollution standards that had not been substantially updated in 20 years. The request was granted via a letter from Pruitt to industry representatives with no opportunity for public comment — and formal public notice wasn’t provided until more than two weeks after the delay was granted. Pruitt has made the unusual and troubling decision to end public access to his calendar and the calendar of senior EPA managers in spite of a bipartisan EPA history of making those calendars public. Without access to the calendars, it’s impossible to know who is meeting with the Administrator or his senior staff — and who is informing their decision-making. What little information we’ve learned about his calendar is that it’s been “filled” with meetings with industry interests. Many of these meetings are with the same individuals or companies benefiting from his rollbacks. In just one example, Pruitt gathered with the American Petroleum Institute board of directors behind closed doors early in his tenure, soon before rolling back oil and gas protections. Pruitt’s intertwined relationship with major industry interests goes back to before he became EPA Administrator to his time as the Attorney General of Oklahoma. In a 2014 exposé, he was documented copying and pasting industry requests and sending them to EPA, nearly word for word, on Oklahoma Attorney General letterhead. Pruitt has defended this conduct as “representative government in my view,” begging the question of who Pruitt thinks he’s supposed to represent. Pruitt isn’t only hearing from industry voices outside the agency. 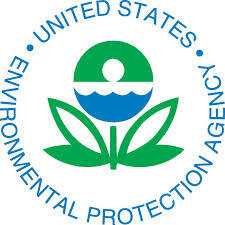 Within EPA, his leadership team is filled with former industry representatives. In just one recent example, the agency’s new senior deputy general counsel, Erik Baptist, was previously a top lawyer at the American Petroleum Institute — which has been lobbying, among other things, to repeal EPA safeguards that reduce harmful methane pollution from oil and gas operations. Baptist is just the latest example of the pervasive conflicts of interest among Pruitt’s senior staff. Fortunately, Pruitt’s practice of leaving the public in the dark is getting pushback. The recent D.C. Circuit decision in the oil and gas methane case is an important step in holding him accountable to the law. Pruitt must listen to all voices — including those of members of the public — as he makes decisions with serious implications for public health and welfare. This entry was posted in EPA litgation, News, Policy, Setting the Facts Straight. Bookmark the permalink. Both comments and trackbacks are currently closed.